Law movies and TV shows represent courtrooms and law offices very dramatically, but the real thing is much, much harder and more complicated. There are various procedures that need to be followed, paperwork that needs to be filed and in order, and there may not be how-to videos on how to do this. A good criminal defense attorney spends years of schooling, and then more time gaining experience in a law firm before they feel completely confident in a courtroom. If you hire a trained mechanic to work on your car, you should definitely hire a highly experienced lawyer to argue your case in court. The procedures in a courtroom can include presenting opening and closing arguments, knowing the rules of evidence, when to object, questioning witnesses, arguing motions, and so much more. The people in the courtroom, the other attorneys, the clerk, the judge, are not going to help you if you run into an issue or are unsure about how to proceed. The rules of evidence, for example, are incredibly complex and a significant amount of time is spent in law school studying the rules and understanding how and when they apply. A criminal defense attorney will understand each part of the process and will be able to execute it without any hesitancy. Do you know what a peremptory challenge is? A voir dire, demurrer, cause of action, release on OR, pro se, or directed verdict? 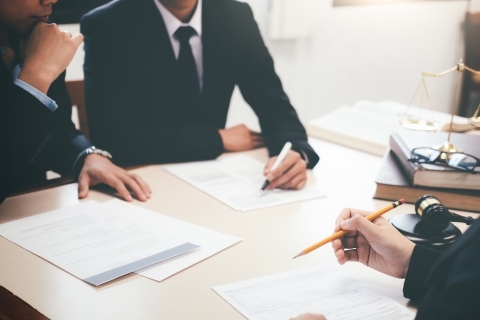 Lawyers can have a language of their own and if you aren’t completely familiar with them beforehand, you may have to frantically research and even then it’s hard to understand these phrases when used in context. Without specific knowledge and courtroom experience, there is the possibility of saying things or presenting information that could potentially be self-incriminating. You may have a fact about your case that you believe is beneficial, but without being able to properly present it, could be detrimental. In bigger cases, you may have a lot riding on the outcome of the case — of course you don’t want to pay thousands in fees or be sentenced to jail time. 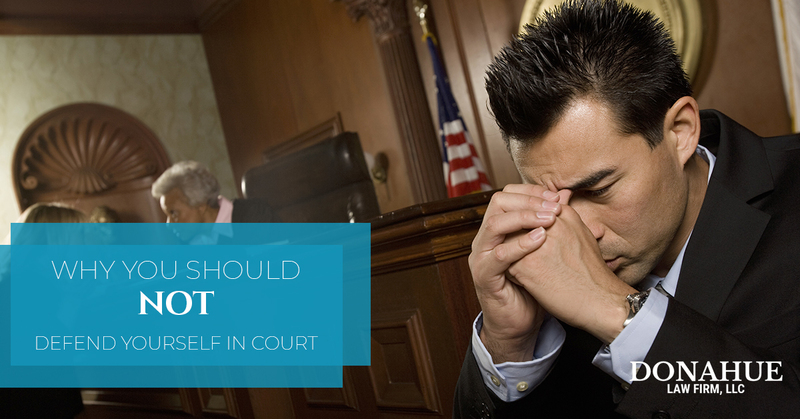 Being under this type of pressure may make you feel nervous or even defensive in court. Arguing your case based on emotions instead of facts is not going to get you anywhere and could ultimately frustrate the judge as well. We touched on this previously, but it is an incredibly important point. Everyone who is in the courtroom with professional duties understands what is required of them and they will not help you out or give you any slack because you don’t have the experience. Claiming ignorance is not a reason to appeal the outcome if it doesn’t end in your favor. The judge is impartial regardless of these circumstances. Cases where it could make sense to defend yourself are rare, and even then, there is a large amount of work to do before you appear in court and it’s essential that these steps are followed. If you are facing criminal charges, having a professional criminal defense attorney at your side will be invaluable. When so much is on the line, this is the perfect reason to not defend yourself. For qualified, knowledgeable, and experienced criminal lawyer, contact the team at Donahue Law Firm. We will navigate the process for you.